The news comes nearly five months after the agency’s initial decision to revisit the issue. The decision is currently scheduled for official announcement Monday, April 30, 2018 in the Federal Register. However, you can read the text of the decision here, courtesy of the Register. The USFWS announced it would review its decision in early December, following a decision in the United States Circuit Court of Appeals for the D.C. Circuit. In that case—Humane Society of the U.S. v. Zinke, 865 F.3d 585 (D.C. Cir. 2017—a federal judge ruled the agency had erred in its attempt to remove protections for Great Lakes wolves. The judge added that the agency had not adequately considered what impact selective delisting would have on the wolf population as a whole. Grizzly advocates argue the USFWS has made the same mistake in its grizzly decision. The agency’s announcement comes as state wildlife agencies in Wyoming and Idaho push forward with hunting proposals. Idaho Fish and Game has proposed a hunting season of one grizzly bear this fall, while Wyoming seeks a hunting season on at least 12 Yellowstone grizzly bears, in addition to 12 bears elsewhere in the state. This week, conservation and animal advocacy groups butted heads over an alleged “swap” of hunting quotas between Wyoming Game and Fish and the Montana Fish, Wildlife & Parks agency. Center for Biological Diversity attorney Andrea Santarsiere alleged that Wyoming wildlife officials told attendees of a Game and Fish meeting that Montana had agreed to share some of its grizzly quota so Wyoming could boost its number. Unlike Wyoming and Idaho, Montana will not host a grizzly hunting season this fall. FWP spokesman Greg Lemon told reporters the agency would not trade any of its grizzly mortality quota, which was generated using a formula that looked at grizzly populations in the Greater Yellowstone Area. 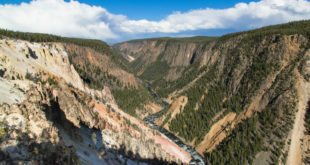 Although these hunts would not affect bears living within Yellowstone National Park, conservation groups and advocates argue it would prevent their spread outside the “island” of the Greater Yellowstone Area, which poses a threat to their long-term survival. The Center for Biological Diversity is one of several groups currently suing the USFWS over its grizzly decision, arguing the decision is premature and not based on “the best available science.” A hearing on that suit is scheduled for August 2018, just ahead of Wyoming and Idaho’s proposed hunting seasons. Another lawsuit, filed by a coalition of Native American tribes, contests the USFWS’ decision on religious grounds, arguing the decision violates the American Indian Religious Freedom Act of 1978. Santarsiere told the Associated Press that the USFWS’ decision is a belated attempt to justify the delisting decision and argued the bears are nowhere near recovered yet.